The model No. for this B&D remote control is 059740 / BDH-200, Frequency is 433Mhz. It is mainly used for common main entry garage doors for complex buildings or blocks of units. There are 9 dip switches inside for coding. This remote is obsolete. It has been replaced by CAD605C . The button A can control your main gate/door. Making sure the setting of the dip swiches inside old remote has been replicated into BCAD605C button A. 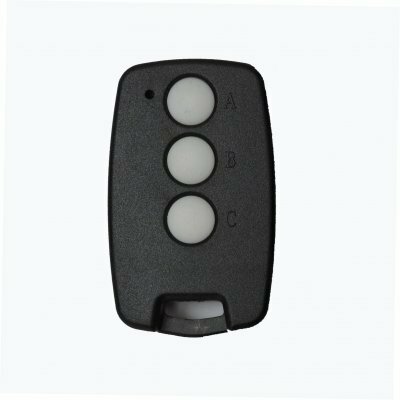 Besides, button B & C available to control your private garage openers. This one has been upgraded to CAD605C.